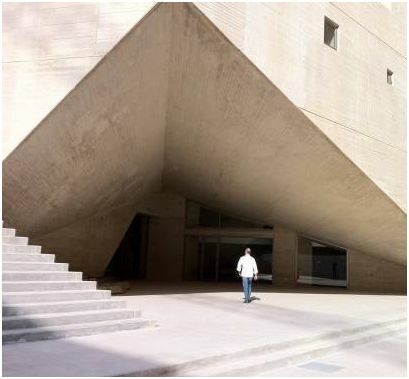 Everyone agrees that the Arabic fresh and up to date architectural cross cultural ideas comes from Beirut, Where the architectural education is the finest on the Arab world, strongly affected by the French movements. “This new campus takes a contextual approach, integrating physically, culturally, and historically with Beirut’s urban tissue. Conceptually an urban block with sculpted voids, the building’s hollow spaces defines six autonomous blocks and constructs multiple viewpoints across Beirut, connecting students to their dynamic setting. The voids also generate a street-level meeting space, which flows fluidly to the top floor in the form of a massive staircase. It concludes at a landscaped terrace overlooking the city. 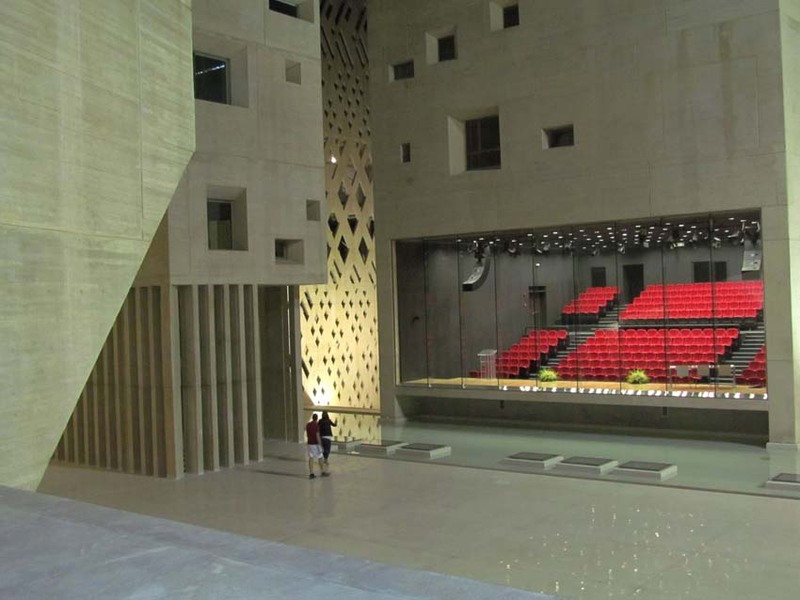 Light is a vital element in oriental architecture and one that shapes its style and identity; the campus exposes alternate light qualities through Moucharabieh-inspired perforations and a polycarbonate volume. Such manipulation presents a striking contrast in filtered light and luminescence. A stylized random-opening treatment is a snapshot of the Lebanese War, lending a poetic glimpse into the reality of destruction and violence”. 109 Architectes is an international design studio skilled in all aspects of designing and planning. There design statement is “We prioritize new ideas, functionality, and a superior level of client service. 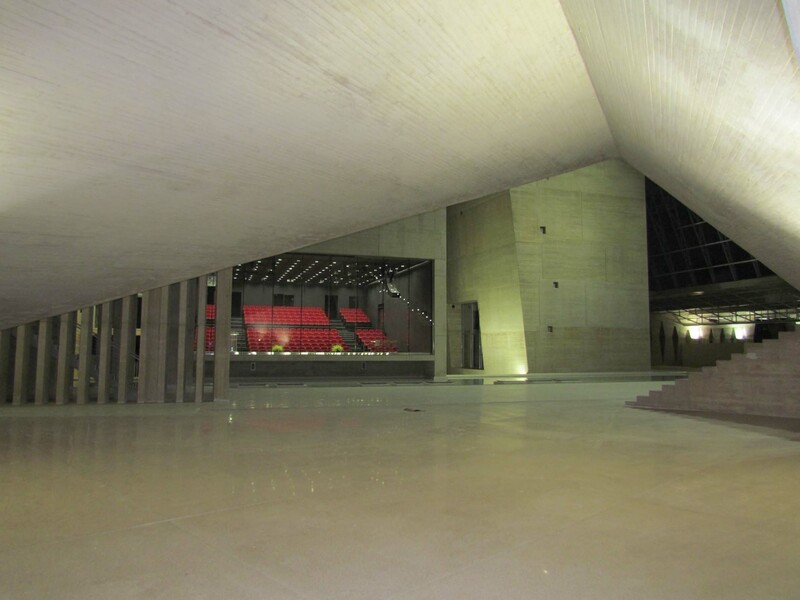 The result is distinctive, practical designs that realize the project intention at the highest international standards”.Collaborated with the Lebanese’s Youssef Tohme graduated from “l’Ecole d’Architecture Paris-Villemin” worked as a chef architect on the redesign study of the “Gare d’Austerlitz” at AREP. 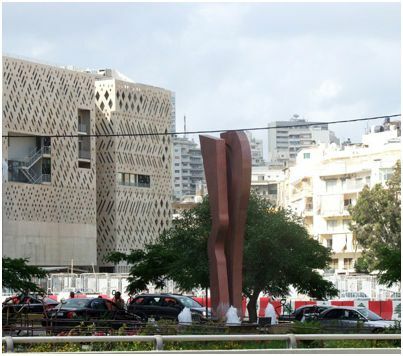 he became an assistant chief architect at Atelier Jean Nouvel Paris on the project Landmark in Beyrouth. His statement “The practice tries to translate the deep theoretical & technical research in his projects holding a powerful urban agenda”. he worked in Lebanon in collaboration with “109 architectes” on the project “Campus de l‘innovation, de l’économie et du sport à Beyrouth (USJ-Project)” which is currently under construction.